Athletes!Since we opened in December 2012 several of you have been asking how to give back to the HWTC. While we try to provide the best CrossFit experience at no cost we face some challenges to sustain our box. Beyond equipment and administrative supplies one of our biggest challenges is Instructor Attrition. 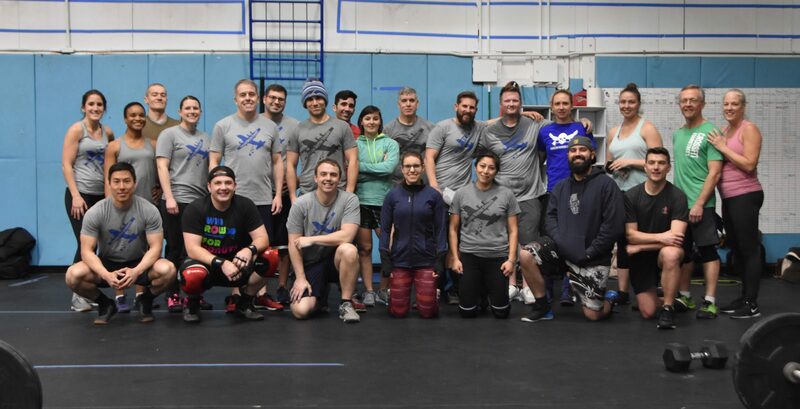 Each one of our coaches are passionate about CrossFit and making an impact in each of you and would love to coach at the HWTC for the long run however they are subject to new assignments and deployments. We anticipate losing 3-5 trainers a year and we need funds to train new ones! In addition to the time commitment requiring months of training and shadowing it costs $800-$1,000 per person to become a Level 1 Trainer. Unfortunately the HWTC simply does not have the funding to cover all of our replacements. If we can’t replace our coaches we may eventually have to reduce the amount of classes we offer throughout the week. Each of your coaches works on a completely volunteer basis; no one is paid. All programming, coaching, and website maintenance is also done free. We love what we do but couldn’t possibly cover all of the classes in addition to our full-time responsibilities. So how can you help? We are now accepting donations using the link below and have provided some suggested amounts for your consideration. We want to emphasis that donations are COMPLETELY VOLUNTARY and the amounts are only suggestions. If you would like to donate please donate however much the HWTC is worth to you. For comparison the monthly cost for CrossFit boxes in New England range from $115-$300 most even charge an additional on-ramp fee of between $250-$400! Every dollar we get will only be used for funding new instructor certifications or equipment purchases; all of our instructors and staff are unpaid volunteers and will remain so. If there are any questions or concerns please don’t hesitate to contact any of us.